It is clear they weren’t sparring at full power, but it is also evident how much power Anthony Johnson can generate. 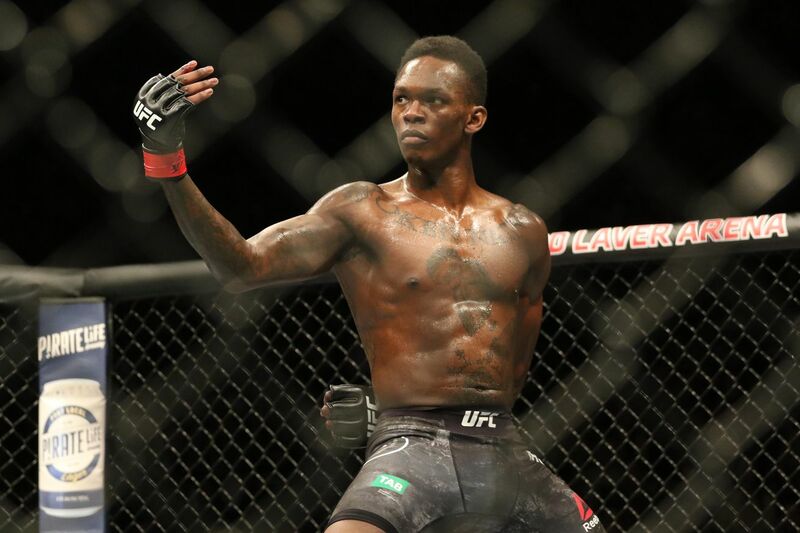 Adesanya is wholly unphased sparring with the bigger man, calmly rolling his shoulder, measuring the distance, and lining up his punches and kicks. It makes one wonder how Johnson would have done against Jones... and how Adesanya might do against Jones in a future matchup. Bob Arum to LATimes: "“The cable & Satellite people are now scared after the UFC has taken its PPV's [starting with Saturday’s card] to ESPN Plus …So we threatened to do the same, reminding them their way of doing business and just collecting a % is no longer sustainable." New Moody's Report on UFC Holding is out. UFC's revenues is down from the last 2 years but still were "well over $600 million" in 2018. EBITDA margins were apparently 7.8x of debt, which would be close to $250 mil.